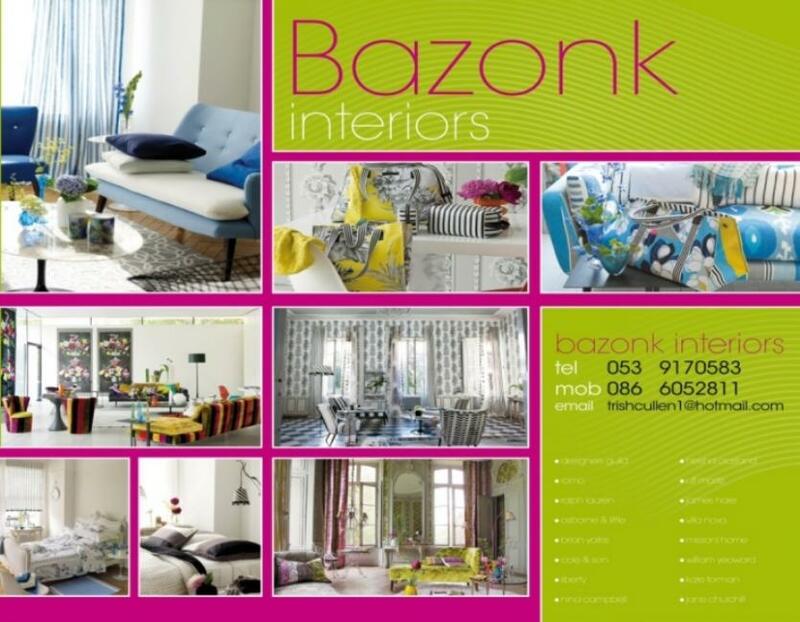 Bazonk Interiors specialise in both designing and remodelling of home and workplace. Trish Cullen and her suppliers have considerable experience in private and corporate interior design projects. Bazonk Interiors, Interior Design and Home Stylist service, supplies to Private Clients, Hospitality and the Healthcare sectors. Our ethos is to provide a well thought out , appropriate , and bespoke design tailored to your budget. From a single room to an entire house , we allow the client the advantage of easy access to all the relevant suppliers and trades without having to trawl through endless sample books, brochures, websites,and contacts . We provide a one stop shop providing relevant and appropriate sample books and mood boards which in turn provide access to national and international brands and designers.